Here we are with another Scrapalicious USA Wednesday...oops it's Thursday! Oh well, better late than never! 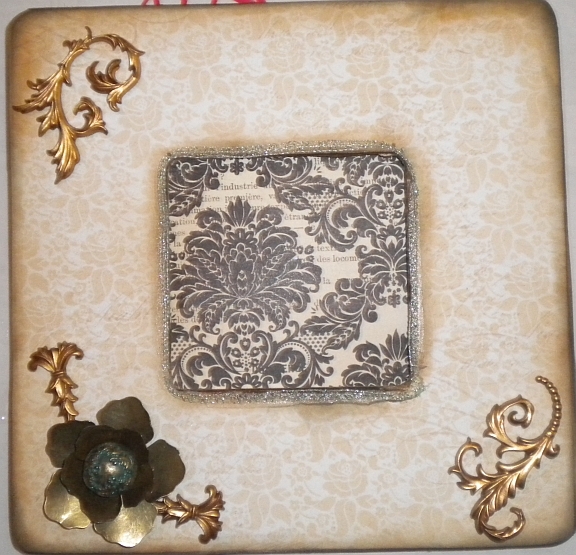 This week I created a picture frame out of one of those cheapie ones you can buy for a dollar at Michael's. I simply covered it in some My Mind's Eye paper and then embellished it with another Graphic 45 flower and brad and some really special "stickers". They are considered to be stickers, but as you can see, they are a little more special than just stickers. Take a look! Come join us at the challenge this week! The theme is Anything Goes! Love it, and you will too! 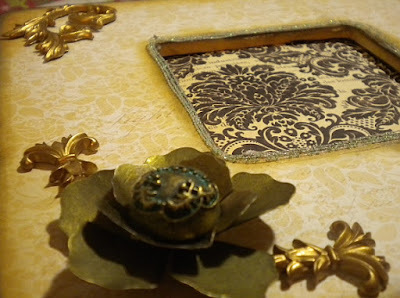 My Minds Eye "Perfect Damask"
Very nice! Are you going to be putting a picture in it? Or are you giving it away?